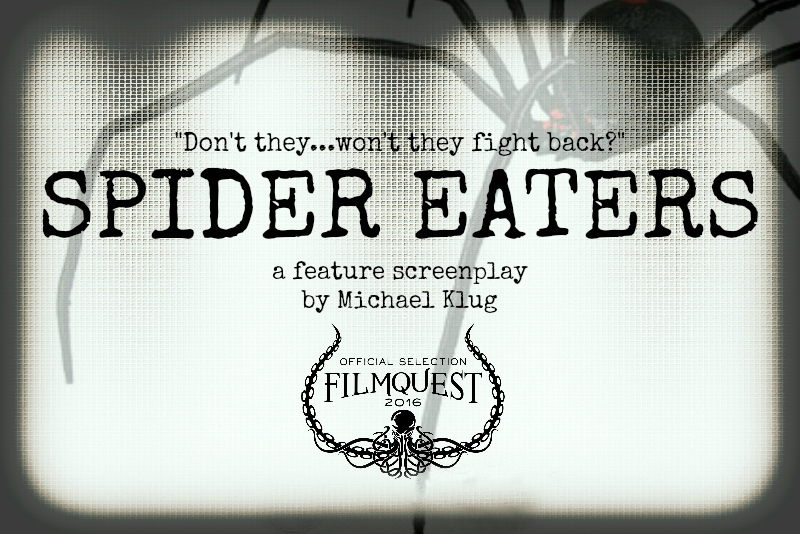 INFO: Spider Eaters is a feature-length screenplay (spec). PROTECTION: Spider Eaters has been protected with the WGA; West. GENRE: Horror / Thriller / Adventure. DRAFTS: Eight (8) drafts of the script have been completed. READINGS: A first reading was held in the summer of 2015. 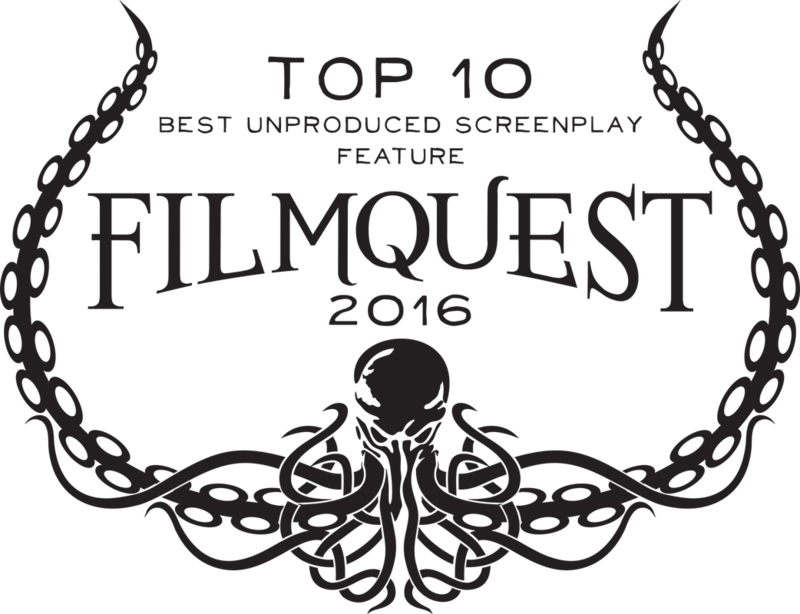 Included in the cast: Libby Baker, Maggie McCollester, Monte Light, Brad Griffith, Jessa French, Benjamin Burt, Cameron Bender, Noshir Dalal, Frances Chewning, Chris Smith, Stephanie Jones, Michael Balin, Jordan Charles. CIRCULATION: Spider Eaters is currently out to several producers. LOGLINE: In a last-ditch effort to save their failing relationship, Allison and Bobby embark on a spider-eating adventure into the remote Australian Outback, accompanied by a "Strange Foods" television crew. 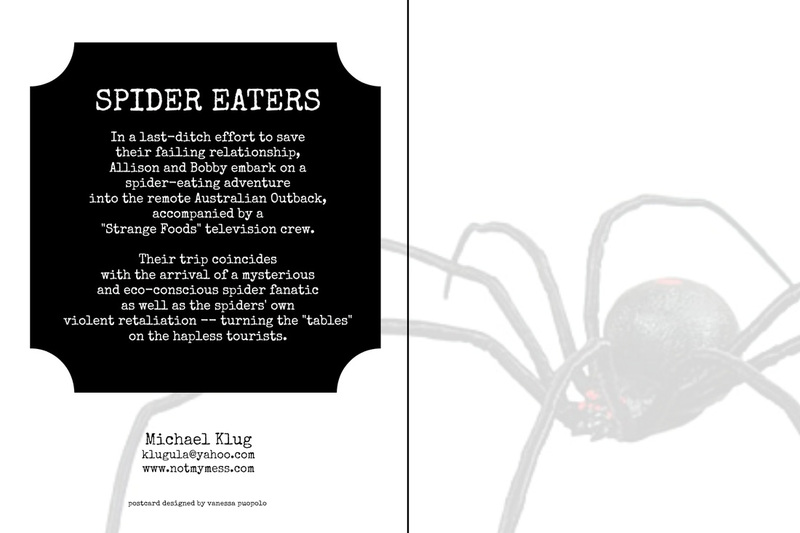 Their trip coincides with the arrival of a mysterious and eco-conscious spider fanatic as well as the spiders' own violent retaliation -- turning the "tables" on the hapless tourists. PROPOSED TAGLINE: "The snack that bites back..."